Your smile is a reflection of good health and it is one of the things that people notice first. According to the American Academy of Cosmetic Dentistry and https://www.pinterest.com.au, 99.7% of the population perceives smile as an important social asset and those who have undergone a smile makeover are believed to possess positive attributes that make them look more beautiful, successful, smarter, happier, interesting, wealthy, and more appealing. Furthermore, there are surveys that reveal how your smile has an impact on how far you’ll go on the career ladder, as well as on your capacity to build relationships. Certainly, it is one aspect of your personality that requires your attention. If you’re having trouble with your smile because of a damaged or misaligned tooth, you should take the necessary steps to improve it. How? Through a smile makeover! There is already a range of treatments that can help you get rid of the imperfections to achieve a beautiful smile. Read on as we discuss the options that will give you the smile transformation that you’ve always wanted! There are already natural modern fillings that would make suitable replacements for your old fillings. Amalgam, a popular option years ago is no longer preferred as it’s not aesthetically pleasing. With advancements in dental technology, you can now opt for white resin or porcelain fillings that look more natural and don’t get in the way of a beautiful smile. If what you want is a whiter and brighter teeth, consider your problem solved through a Zoom teeth whitening treatment. White teeth is are the basis of a beautiful smile. If you have been hiding your smile because of discoloured teeth, you can now confidently smile with your pearly white teeth with the help of your dentist utilising Zoom LED technology. Do you have a problem with misaligned teeth but don’t want to use traditional braces? Invisalign is the treatment for you. 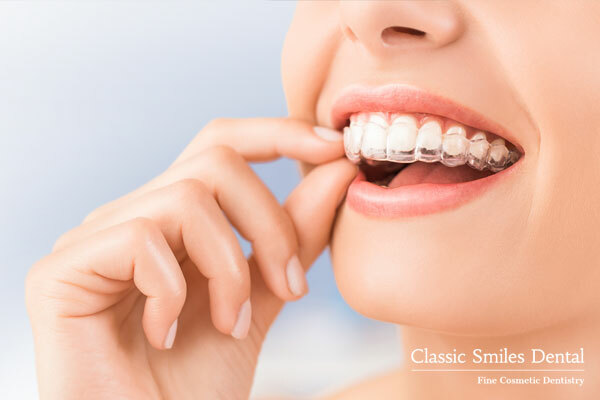 Now, you can achieve a beautifully straight smile using invisible clear aligner trays that are made to put gentle pressure and move your teeth to their correct positions. 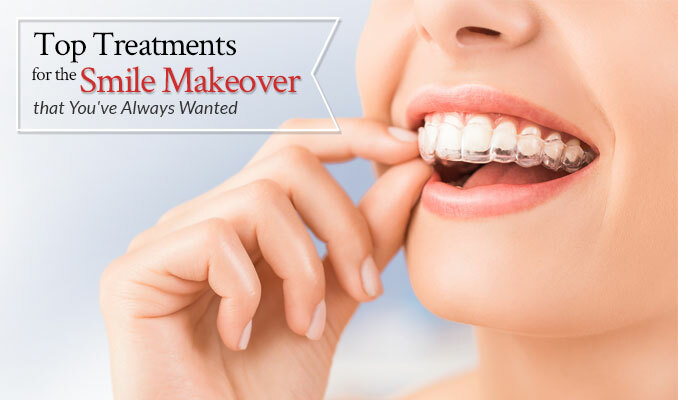 This is a very effective treatment that will allow you to achieve your desired results gradually, minus the discomforts that normally go with traditional braces. Cracks, chips, discolourations or crookedness hinder you from achieving a beautiful smile. If you are unhappy with the condition of your teeth, you can now achieve the transformation you want with the help of a cosmetic dentist. 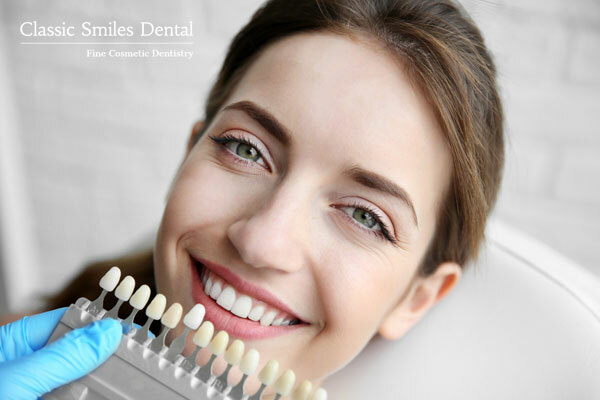 Dental veneers are thin layers that is made to fit over the front surfaces of your teeth to conceal the damage or imperfections that are present. Whether you prefer porcelain or composite veneers, this treatment can solve your dental issues by reshaping the teeth, improving their colour and adjusting their alignment properly. 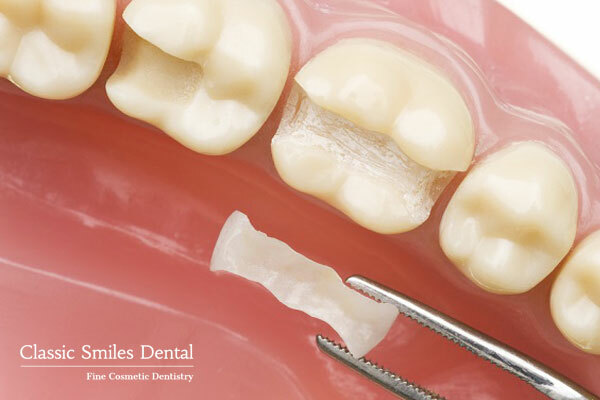 Have you lost a tooth and want to fill the gap that it has left? Worry no more. While several years ago, tooth loss had been a huge problem, the advancements in cosmetic dentistry has now made the way for a more affordable solution to effectively solve your problem. Dental bridges and crowns are recommended if you have a missing tooth or to close the empty spaces that result due to an incorrect bite. Not only will this improve your smile, it will also spare you from the problems caused by imbalanced bite which may lead to gum disease and temporomandibular joint disorder (TMJ) in the long run. Whatever the condition of your teeth is, there is a suitable cosmetic dentistry treatment to address your concerns and provide you with the smile makeover that you’ve always wanted. Get a Free Consultation from our Cosmetic Dentist today!